Buy Bulk Seeds and Save! Named for its habit of blooming after 4:00 PM, Four O'Clocks grow and flower almost anywhere in the U.S., and thrive in conditions where some flowers would languish, including hot, windy areas. Grown close together, they make an excellent annual hedge. Although grown as an annual in most areas, they can be grown as a perennial in areas where the ground never freezes. They produce tubers that can be dug in the fall and planted again the following spring after the last chance of frost. 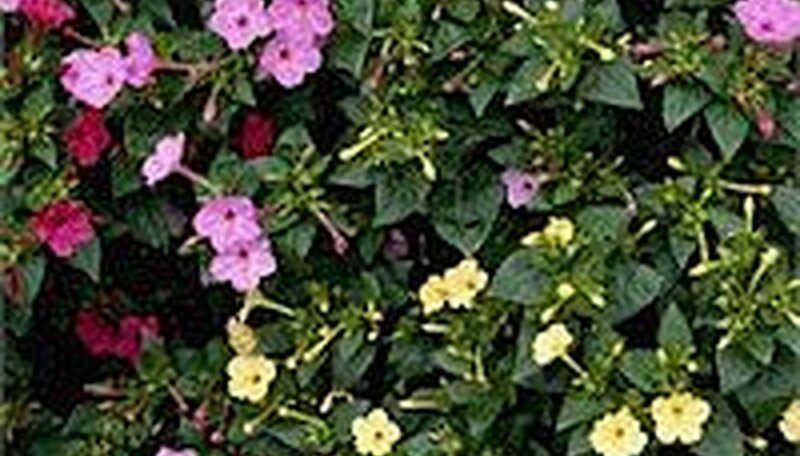 Four O'Clocks look wonderful in large containers such as tubs and barrels, and have an outstanding fragrance when open. Sow in spring after danger of frost has passed. Plant 1/4 inch deep and 1" apart. When 1" tall thin to 1' to 2' apart. Seeds can 5-10 days to germinate. To Plant A Meadow: Prepare soil by removing weeds and cultivating to loosen the soil. Spread seeds evenly over prepared soil. Pressing or rolling seeds onto soil will help improve germination rate. Keep soil slightly moist until seedlings are established.